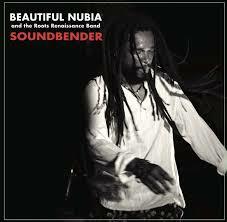 Segun Akinlolu (aka Beautiful Nubia) blends a compelling mix of soul and contemporary Nigerian folk and roots music on the aptly titled Soundbender. This is the eleventh studio album from a multifaceted singer-songwriter who is a linchpin in today's music scene in Nigeria. When Akinlolu isn't performing across the country, especially at schools and universities, he's busy composing music, writing poetry and organizing an annual music festival. He also leads the African Socio-Cultural Ideas Initiative, which encourages bright thinkers to discuss and debate the future of African prosperity. Akinlolu's social awareness and positivity are evident within the lyrics. The tone of this album is mostly mellow and laid back, but the words, sung in Yoruba and English, are sometimes at odds with the music. While Akinlolu is upbeat and hopeful in his approach, he doesn't shy away from the harsh reality facing Africans today. However, this record never gets bogged down by subject matter. It is a celebration of life and possibility. The CD opens with “Ara,” which features a melody that is revisited on the closing track, “Akojade.” Akinlolu's horn arrangements stand out immediately and are consistently tremendous throughout the recording. The group sounds relaxed and at ease, in a song that announces the arrival of the Roots Renaissance Band with a variety of dances. “Akawogbekun” has a somber sound and discusses the virtues of patience and hard work. The horns are deeply moving and fill the song with warmth, contrasting nicely with the high-pitched violin. “Dreaming (On a Breezy Night)” picks up the pace with one of the best tracks on the album. Akinlolu's voice is sweet and tender with a hint of urgency as he tells listeners to rise up and overcome their pain and sorrow to move forward to a better tomorrow. “Abukeoshin” is an Afrobeat-tinged composition that adapts the folktale of the tortoise's betrayal of the snail. “Ten Lashes” follows with a shuffling song about standing defiant in the face of abuse and torture. “One Good Soul” is another funky, up-tempo track that encourages people to stay positive even when answers aren't forthcoming. “Anyone, Everyone” is slightly psychedelic with a subtle slice of reggae influence. “Akojade,” a slight reprise of the opening cut, closes the record nicely.